PwC released its Q4 Pharmaceutical and Life Sciences (PLS) Deals Insights, a quarterly analysis of M&A activity in the PLS sector. According the analysis, deal activity remained strong in the sector with more than $105 billion in announced and pending deals, suggesting robust M&A activity may continue into 2015. Total deal volume and value in the full year of 2014 increased by 37 percent and 4 percent, respectively compared to 2013. The pharmaceutical sector led deal activity in the fourth quarter, accounting for 70 percent of total deal value in the industry. Deal activity will continue in 2015, as companies continue to realign their product portfolios, expand into new markets, and face an ongoing scarcity of valuable assets. Deal activity in Q4 2014 was significant, with approximately 17 announced deals with $104.9 billion in deal value. Overall, the 2014 calendar year demonstrated robust activity, with deal value increasing by 4.1 percent and 52.4 percent and deal volume rising 37.5 percent and 22.5 percent over 2013 and 2012 levels, respectively. While volume of PLS deals declined 30.2 percent in Q4 to 30 deals—13 fewer than the 43 deals completed in the third quarter and one less deal in as compared to the fourth quarter of 2013. The value of PLS deals closed during Q4 decreased 54.8 percent from the previous quarter, from $61.4 billion to $27.8 billion, and declined 25.8 percent relative to the fourth quarter of 2013. During the quarter, an additional 17 deals were announced and are still pending, representing another $104.9 billion in pending deal activity. In the medical device sector, deal volume declined from 13 deals in the third quarter of 2014 to 9 deals in the fourth quarter. However, deal value increased from $3.7 billion to $4.9 billion over the same period and was 2.1 percent higher than the $4.8 billion total value reported in Q4 of 2013. In addition, there were six announced deals (14.0 percent of total deals announced) valued at $14.7 billion, including Becton, Dickinson and Company’s proposed acquisition of CareFusion Corporation for $12 billion, the largest among them. Acquirer agility: With seemingly ever-increasing competition for quality assets, acquirers are placing greater emphasis on being able to adapt to a shifting deal environment. Divestitures: In 2014, a number of companies focused on their core competencies and engaged in divestitures to unlock shareholder value. This is expected to continue and potentially accelerate in 2015 as a result of the significant M&A activity over the last year. Globalization: PLS companies searched for partners and acquisition targets outside of the US to create business synergies and open up new markets. Cross-border transactions may remain a significant component of corporate strategy in the coming year. 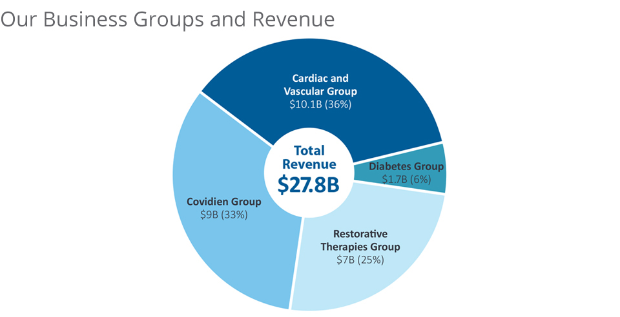 Consolidation: Consolidation was a significant trend in 2014 across all sectors within the PLS industry, and most prominently in the medical device sector. This trend is expected to continue in 2015, as payor and provider groups consolidate further and medical device companies strive to maintain their bargaining power by expanding their product offerings and adopting new business models to demonstrate value to their customers. 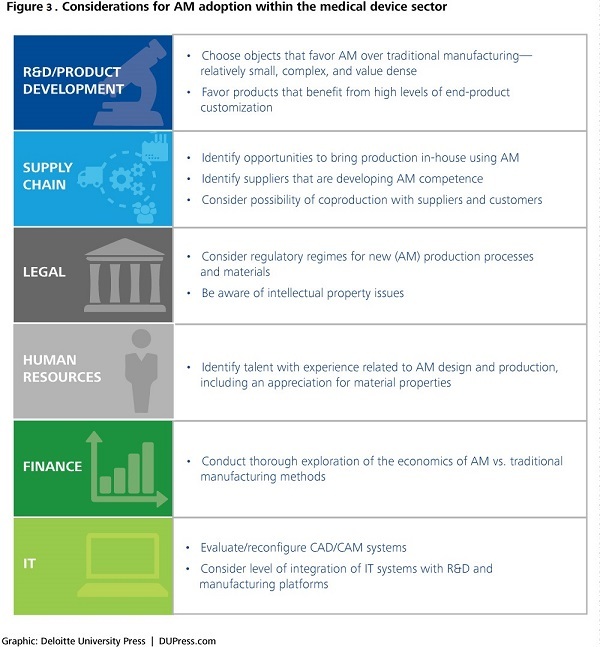 Additive manufacturing capabilities align well with the needs of the medical device segment, enhancing product customization and enabling efficient, cost-effective production and delivery, describes Deloitte’s Glenn Snyder.